The Tully family’s motto is Family, Duty, Honor. While Catelyn Tully perfectly embodies these virtues, her fate seems to be a slap in the face to these ideals. In a turbulent time like that in ASOIAF, doing the right thing can get you killed — a recurrent theme of the series. George R.R. Martin’s body of work suggests that he is not a cynic. But, in the ASOIAF series, Martin is brutally honest about the gap between perception and reality: following a moral code provides no protection. Bad things happen to good people all the time, and sometimes one cannot even tell what is a bad or good choice. This is one of the qualities that make the series both frustrating and irresistible. Although Shakespeare’s time was on the heels of the Middle Ages (~ 500 CE to 1500 CE), his works are surprisingly short on honorable knights and chivalrous deeds like the ones in Arthurian legends or romantic tales popularized by later poets like Sir Walter Scott. Rather, one would be pressed to find any heroism in the multi-play series from Richard II to Henry IV or plays set in older periods. The kings do not resemble Arthur or Richard the Lionheart and the nobles and knights aren’t like Sir Lancelot or Robin Hood in the stories. Even the characters who are supposed to be good guys, such as Henry V, have done some disturbing things; Henry locked up his friend Falstaff and later hung his pathetic old buddy Bardoff (Henry V, Act 3, Scenes 6-7). The good guys never rescue any maidens or protect the weaklings. Rather they spend most of their time waging wars and worrying about their crowns. Where is the honor? Jaime Lannister in his (Nikolaj Coster-Waldau) duel with Ned Stark before he “gives in” to his honor and lets Ned live. (It wouldn’t be a clean death.) © HBO. Jaime Lannister knows all about this “honor” business. When he became a Kingsguard at fifteen, he wanted to be a proper knight like Ser Arthur Dayne: to be strong and loyal, to protect the weak and innocent, to be true and honorable, and to always do the right thing. Life has other plans. To be loyal to his king, Aerys, he had to listen to Queen Rhaella being raped and abused by her husband and do nothing. At seventeen, Jaime did what he thought was the right thing and killed the Mad King to protect the citizens of King’s Landing as well as his father Tywin. Did Westeros greet the young man like a hero? No, thereafter Jaime is universally despised as an oathbreaker and kingslayer. Even Ned Stark, whose father and brother’s deaths were avenged by Jaime’s act, looked upon him with contempt. Jaime in one of his less honorable moments. © HBO. By the time Jaime pushes an eight-year-old boy out of the Tower window at Winterfell (A Game of Thrones), he is beyond caring about his honor. He has to do it for the love of his family. By then he has learned that adhering to the Kingsguards’ code of honor is simply not possible if one wants to survive the real world. What he believed in emphatically was but a dream. The Hound and the Mountain go mano-a-mano at the Hand’s tournament. The Mountain melted his brother’s face for playing with one of his toys when they were boys. © HBO. The Hound’s rage is fueled by the hypocrisy — most people, from small folk to noble girls like Sansa, believe that knights are honorable and glamorous, and behave like the heroes in songs and fairy tales. They go to tourneys and cheer for these men in shining armors and galloping horses and dream of being rescued and protected by the knights. Sansa soon learns the ugly truth about knights to her sorrow. Ser Meryn Trant beats her bloody at the order of King Joffrey while the other white cloaks watched. Only Sandor Not-a-Knight makes an effort to protect her. Ser Meryn beats Sansa at Joffrey’s command. © HBO. Indeed, knights were armed men, trained in the skills of violence, used by their kings and lords on battlefields and raids, to kill and maim their masters’ enemies. They were not bred and groomed to protect women or children, the weak or the innocent. As the Hound points out, “Stannis is a killer. The Lannisters are killers. Your father was a killer. Your brother is a killer. Your sons will be killers someday. 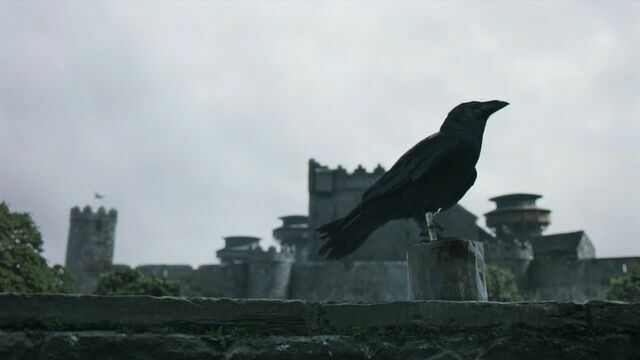 The world is built by killers… so you better get used to looking at them.” (Game of Thrones TV series, S2E9). He knows them well, for his own brother, Ser Gregor “The Mountain” Clegane, is one of the most efficient killing machines in Westeros and has not a shred of mercy in his massive muscles. In Shakespeare’s plays, knights and noblemen also do their real jobs in the kings’ wars, and chivalry is as rare as it is in real life. The best example of a knight is the inimitable Sir John Falstaff. He drinks, whores, lies, cheats, and commits highway robbery. The cowardly knight Sir John Falstaff spent most of his time drinking at the Boar’s Head Inn. Artist: Eduard von Grützner, 1896. When called upon by his master to fight in wars, he shows up only when victory is assured and claims the body of Hotspur — already cut down by Prince Hal in a duel — as his own kill (Henry IV, Part 1, Act 5, Scene 4). In Henry IV, Part 2, Falstaff is sent on a recruitment tour in the villages by Prince Hal. Men who can afford to bribe him are allowed to go home, while those who can’t become a member of his ragtag platoon that are better at dodging battles than fighting them. Despite the rousing speech Henry V gives to his generals, on the Agincourt battleground there is no glory or honor, only death, severed limbs, and puddles of mud and blood (Henry V). Henry V from Kenneth Brannagh’s version of Shakespeare’s Henry V. © BBC Films. “Well, ‘tis no matter; honour pricks me on. Yea, but how if honour prick me off when I come on? How then? Can honour set to a leg? no; or an arm? No; or take away the grief of a wound? no. … What is honour? A word. What is in that word honour? What is that honour? Air. A trim reckoning! “A horse,” is Jaime’s unspoken reply. It’s a joke; Jaime’s squire named the horse “Honor,” and Jaime has it dressed in the colors of Kingsguard. Perhaps in the depth of his heart there remains an aspiration to be a good knight, but right now Jaime does not know where to put his honor but in his horse. King Henry V at the Battle of Agincourt. George R.R. Martin, like Shakespeare, tells stories of large-scale wars through intimate family struggles and, by doing so, makes the average reader care. The heroes and leaders are portrayed as fathers and mothers, sons and daughters, brothers and sisters, with psychological issues resonating with everyone. In a way, these issues seem to imply that even massive conflicts can be understood as tribal (familial) competitions and struggles. The entire Wars of Roses series of plays (Henry VI, Parts 1 to 3 and Richard III) are driven by blood feuds between the York and Lancaster families. The same cycles of escalating revenge and mutual destruction also form the basis for Titus Andronicus and Romeo and Juliet. Similarly, the War of Five Kings over the Iron Throne is as much about individual ambition as it is about the legacies of great houses of Westeros. The daughters of King Lear. The plots are also frequently driven by conflicts within a family. “All happy families are alike; each unhappy family is unhappy in its own way,” Leo Tolstoy observes (Anna Karenina). Hamlet is a confused son facing troubled relationships with his mother and stepfather. Lear is an unwise father of three daughters, each with her own priority. Even the heroic Othello is brought down by domestic failures. Theon, with his father Balon Greyjoy, and his sister Yara (Asha). © HBO. In ASOIAF, war is triggered by Joffrey, a boy king spoiled by his mother Cersei, and Cersei’s fierce protection of her children at all costs. Love for their children causes Catelyn and Ned Stark make foolish decisions. A desperate pursuit for his father’s approval leads Theon Greyjoy down a road of hell. In a most Freudian event, Tyrion kills his own father. Like Shakespearean plays and like real life, Martin’s world is full of unhappy families, each with their own bickering and bitterness, because unhappy family relationships are the bottomless goldmine of universal drama and conflicts. The structure of the Lannister family is similar to that of the Lear family: an absent mother, a self-centered father, a pair of closely-knit older siblings, and the lonely and misunderstood third child. The father tries every trick in his book to get his children to obey him and become an extension of his will, but the children all have their own calculations. The father rules a kingdom but cannot rule his children. A family is torn apart by their conflicting needs from and unfulfilled demands for each other. The world may batter you with slings and arrows, but those that hurt the worst always come from your own family. A sketch of the second Globe theater. The first theater was built in London by Shakespeare’s company. Source: Wikimedia. Earlier in 2014, Martin released a chapter entitled “Mercy,” intended for inclusion in The Winds of Winter. The content of the chapter, however, he wrote and rewrote since the early days of the series. It depicts Arya’s apprenticeship with a theater troupe in Braavos. The stage in an abandoned warehouse, Mercy’s make-up and costume work, and all the behind-the-scene hustle and bustle of the Gate Theatre have to be a re-imagined scene of the daily life in the Globe Theatre circa 1600, except for the addition of female actors. This chapter might be the most transparent homage and a direct admission of Martin’s debt to the Bard of Avon. I wrote a comment here yesterday, Jun, but as I have a broadband outage at present and am struggling with the dongle, the comment was lost. Of course REAL Richard the Lionheart may not have been as wonderful as story-book Richard the Lionheart. You probably know he actually spent very little actual time in England. I read a non-fiction book a few years ago (I wish I could remember the name) about Richard the Lionheart. He had something of an obsession about raising money for his ventures in the Holy Land and he was not above marrying off heiresses or wealthy widows to compliant suitors provided he got some of the loot – unless the lady in question could bung him a wad of loot to retain her freedom. I don’t know that it was particular to Richard I but I also read that heiresses with wealth were sometimes “persuaded” that they had a religious vocation thus freeing up their fortune – or maybe the fortune went to the church. Nonetheless Richard I was popular in his lifetime (could it be a case of absence makes the heart grow fonder?) and it’s well known that when he was captured overseas people rallied round to pay his ransom. I’ve got off the topic of Shakespeare somewhat. My original comment was more on point but I don’t recall it exactly. Some people don’t like Shakespeare’s Prince Hal because of his cavalier treatment of Falstaff when he (Hal) decides he is going to be a better person (after his father’s death). I studied “Henry IV Part II” (among other works of literature) at night school several years ago, but I remember our tutor made the point that the relationship between Falstaff and Doll Tearsheet, the prostitute is one of the warmest relationships in the play. I also remember that the perceived wisdom in my schooldays was that Shakespeare loved a flawed hero. I think there is something in the human psyche that finds an overly goody-goody hero/heroine somewhat tiresome ( with children’s literature I’ve heard a lot of people give “Pollyanna” a verbal bashing and I don’t think many people read “Little Goody Twoshoes” these days unless as a historical curiosity). I know that I am not perfect so possibly a wonderfully perfect hero/heroine reminds me of my own faults. GRRM and Billy Tremblealance both have/had the ability to describe believable characters and to keep one turning the page(or listening to audio book)/put “bums on seats” in the theatre. By the way, the final paragraph in the above article is interesting – Arya as Mercy being inspired by the Globe Theatre; I had never thought of that. I worked in London for a number of years but never visited the reconstruction of the Globe, though I guess there is time when I visit the capital. (With modern trains it is not that long from my hometown to London Euston). Thanks for the comment, Watcher. When I read Henry IV, I always thought Falstaff is a surrogate father to Prince Hal and represents perhaps a more content and enjoyable life. Of course reality was not so. Henry V was a hardened warrior, groomed and prepared for invasion and conquest from an early age. The ruthless man in Henry V is closer to history. Yet Shakespeare made up a frivolous youth for him. It is not true, but also very true in terms of human impulses and instincts. Are we not all torn between serious responsibility and irresponsible pleasure? That’s why Falstaff remains irresistible to everyone. Regarding flawed versus perfect heroes. I think we all recognize that perfection is not reality. No one is perfect, and fantasies of a perfect hero who will save us all is not only aesthetically boring but potentially hazardous to our connection to reality. Having had a Christian upbringing I was raised with the perception that Christ was “a man like us in all but sin” but of course he is supposed to be the god-man. I tend to keep off religion though as it is one of the subjects (with politics) that one is warned to avoid if one doesn’t want to have arguments. Yes, we like our imperfect heroes and heroines, I think. Even if they “put their foot in it” by accident. I’m not sure if you are familiar with the Canadian “Anne of Green Gables” series, but there was one incident where Anne’s adoptive aunt leaves her and her little friend to drink some raspberry cordial and Anne gets some home-brewed wine out of the pantry/cupboard/larder (can’t remember) by mistake and her friend’s fond mama is NOT amused when the friend comes home tipsy!! I had a laugh at that. One film which I have never got around to watching which is on my list is “Chimes at Midnight” – which, I THINK – is a film where the late Orson Wells made a compendium of the appearances of Falstaff from all the plays in which he features. Grown-up (Shakespearean) Henry V is generally perceived as a hero for the British. You probably know that over the years the “For God, for Harry and for England” speech has been used to rally the British people. There was a “Hollow Crown” series in the 1960s on British TV as well as the more recent one. A young Robert Hardy played the part of Prince Hal and later presented a documentary about Henry V in France (which rather depicted him in a good light). I think back in the day I had a bit of a schoolgirl crush on Robert Hardy (in the way one sometimes has a crush as a youngster on actors and pop stars one has never met in real life). That may have coloured my idea of Henry V. I’ve a feeling Jamie may think he is a meddler who should have left France well alone. Yeah, I know Henry V is generally regarded as a hero in the play, as Richard III is a villain. Laurence Olivier’s movie was made during WWII with clear patriot and rousing tone. On the other hand, Kenneth Branagh’s adaptation on screen is more ambiguous. The funny and amazing thing is that Shakespeare already wrote all the doubts and skepticism about war (especially from the soldiers and peasants’ perspective) into the play in the first place. From a non-Brit’s point of view, it is curious to note the numerous cruel streaks in Henry (the character, not the historical person), such as the hanging of Bardoph, the “I know thee not, old man” line, the speech to the French town threatening massacre. I think Shakespeare’s position is a lot more ambiguous than the public, even his audience, perceives. Ser Gregor “The Mountain That Rides” Clegane = Luca Brasi. Sandor “The Hound” Clegane = Albert “Al” Neri. The smallfolk think that knights believe in chivalry in GRRM’s books? That would seem very unlikely in real life. European peasantry felt the sharp end from the nobility quite often in real history. Just want to subscribe to comments.